The eastern suburbs are home to a large number of Melbourne businesses, particularly in the Cities of Maroondah, Monash, Greater Dandenong, Knox and the Yarra Ranges. This makes these areas a major target for letterbox drops for everything from restaurants and retailers to plumbers, painters and building companies. 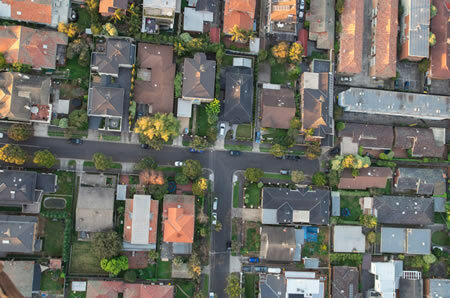 If you’re planning letterbox distribution in Melbourne eastern suburbs such as Box Hill, Blackburn, Lilydale or Ringwood, it can be a challenge to make yourself heard over the competition. Independent Letterbox Distribution Company details a few things to keep in mind to help you maximise your return on investment. Always start with your target audience: who are they, where are they, and what do they want? For example, if you’re a local fish and chip shop, your target audience may be isolated to a few surrounding suburbs. If you’re a carpenter, however, you may wish to perform leaflet distribution in all of Melbourne’s eastern suburbs. And a pizza delivery place may focus on areas with lots of students, such as student housing areas in Clayton (home to Monash University). Next, think about your message. What exactly are you offering to your demographic? Perhaps you’re a new business wanting to advertise your impending launch. Maybe you’re an established business wanting to boost enquiries with a special offer. Or you could have just recently broadened your services and want to make sure the right people know about it. Whatever your message is, it needs to be front and centre as well as easy to understand. Does the design fit the message? Finally, you need to make sure your leaflet design best serves the message you’re trying to get across. This includes the size, layout, colours, and the amount of information you include. Some leaflets will need detailed information and pictures, while others will only need a few words. Carefully planning exactly what you need from your leaflets will help you get the biggest return on investment from your distribution in Melbourne’s eastern suburbs.